Carved from the strip loin, this popular steak is prized for its exceptional flavor and fine texture. 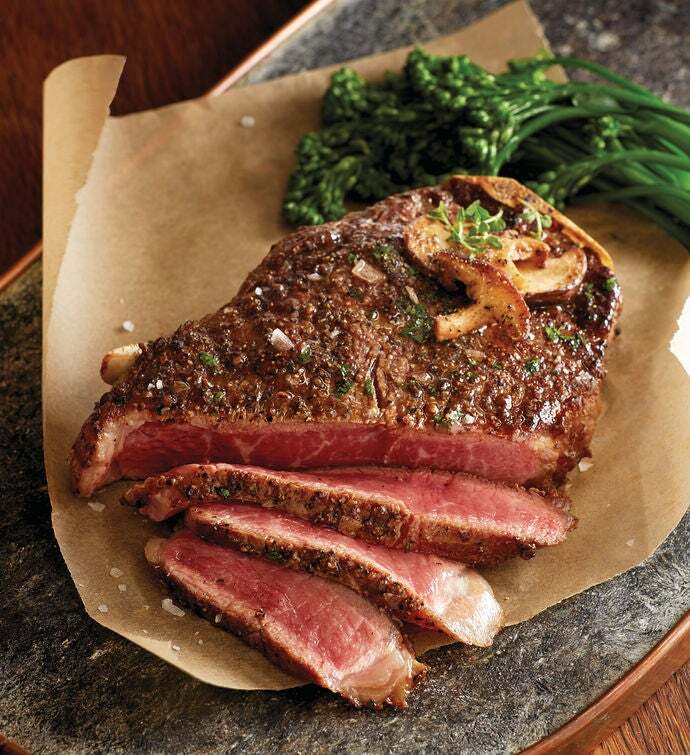 Tender and richly marbled, our hand-carved strip steaks are wet-aged for 21-30 days. They're available in either bone-in or boneless cuts and your choice of USDA Prime or Choice, ensuring that these premium Stock Yards® steaks are sourced from the best of all domestic beef.